‘Unlimited data’ is a phrase that attracts net users like bees to a flower. It sounds like accessing the jackpot that you get at a rate you can afford. The very prospect of being able to upload and download files irrespective of their size, without limiting your speeds or availability of further data is undoubtedly exciting. 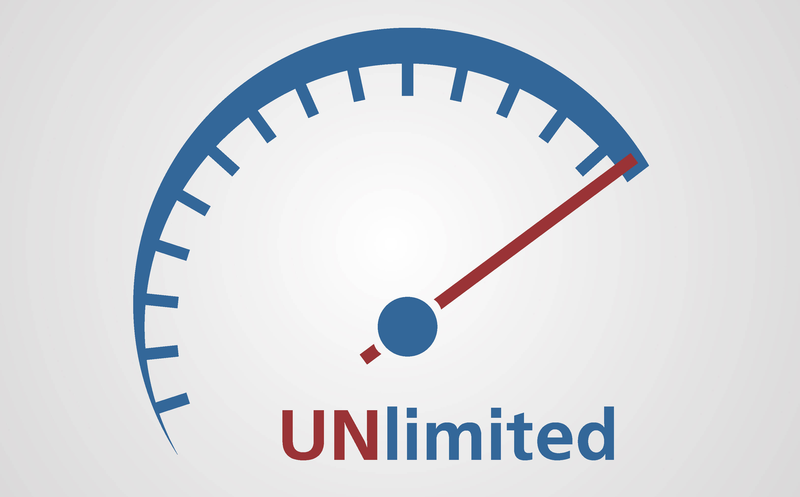 The concept of“Unlimited data” is relatively new.It has evolved with the market needs that has to change with time. When the Internet was at its preliminarystage, the activities online was so limited, that there was no need for any internet company to allure their customers with unlimited data, as the trend of broadband was yet to blossom. The thrills of downloading musicandmovies, playing games onlinewas yet to come. Coming back to the current scenario, the demand for data isever increasing that has compelled the Internet service providers to curb down the limits on their data plans to deal with the high costs. The rule became that if you need to use more data, you will have to pay more to enjoy this privilege. But as we know, with the latest technological advancements, the cost of data had suddenly fallen down significantly. Today the cost of data is unbelievably lesser than that of a few years ago. That enabled the service providers to offer data plans on much cheaper rate, and as a result, today we are enjoying data for unlimited basis and for this the providers aren’t facing any trouble of loss. Toavail their access to unlimited data and provide it to their customers the Internet providers first start with estimating the total capacity of data that might be required for a said group of users in an area, and then makes it available for them at a cost that sounds reasonable enough. Usually, this estimation is done on the basis of a particular period, in which the providers know, that the users cannot consume data beyond a certain level. But in case, the usage suddenly surpasses the limit, the speed might get affected, because of which the users will automatically give up or keep facing difficulties. This is why, this “unlimited data” plans are never seen to be available beyond a certain period of time. If you want to make good use of unlimited data plans, you need to follow a few steps. First you need to choose an ISP that are well established and can cope well with the increasing demand, fluctuations of usage rate and other data hazards. Next, you should be well aware of the fine print of the terms and conditions to avail particular unlimited data plan. likethe additional costs after you cross a certain level of usage. Lastly, before signing up for the next unlimited data plan, review your own average rate of Internet usage to seehow much data you actually need. And select a plan that would ask you to pay for what you actually need.